“Note 7 explodes…”, “Note 7 blasts…”, “Note 7 catches fire…”, “Note 7 is recalled…”, “Note 7 update…”, “Note 7 safe…”, “Note 7 blasts…”, “Note 7…again”, “Note 7…temporary hold”, “Note 7 no more…”. Past few months have damaged Samsung’s image as a phone manufacturer. To turn that around, the company ran full-page ads on three major US daily newspapers – The Wall Street Journal, The New York Times, and The Washington Post. 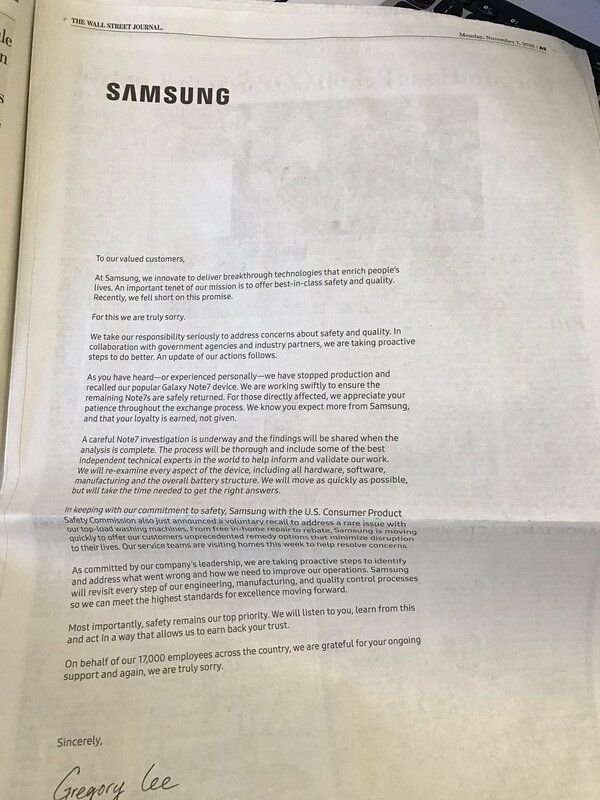 The advertisement is not a promotional rather an apology for the damage the Note 7 has done to its users and the discomfort the users had to face. Gotta agrees, it was a long process – two recalls, the refund or buy a different Samsung smartphone. The apology letter is signed by the President and CEO of Samsung Electronics North America, Gregory Lee. The letter reminds people that the company is working with government agencies to resolve the issue and is issuing updates to push people to return their Note 7s. 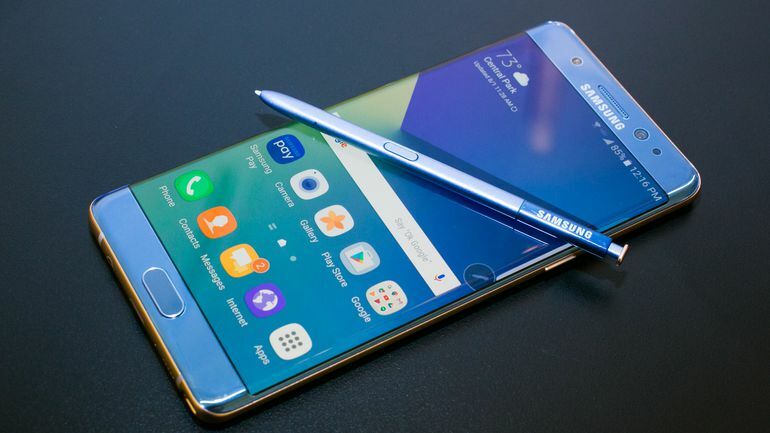 The company also tried to highlight the fact that the manufacturing of the Note 7 has been halted and it is continuing its investigation to figure out the problem causing the explosion of the device. You can read about the status of Note 7 recall here. The ad also mentions the issue with the company’s top-load washing machines – it has been found that the top of the machine can detach from the chassis and nine people have been injured till date whereas 700 people have reported about their machine malfunctioning. This has forced the company to start another return program and 2.8 million machines were returned last week. You can read the full apology letter here.